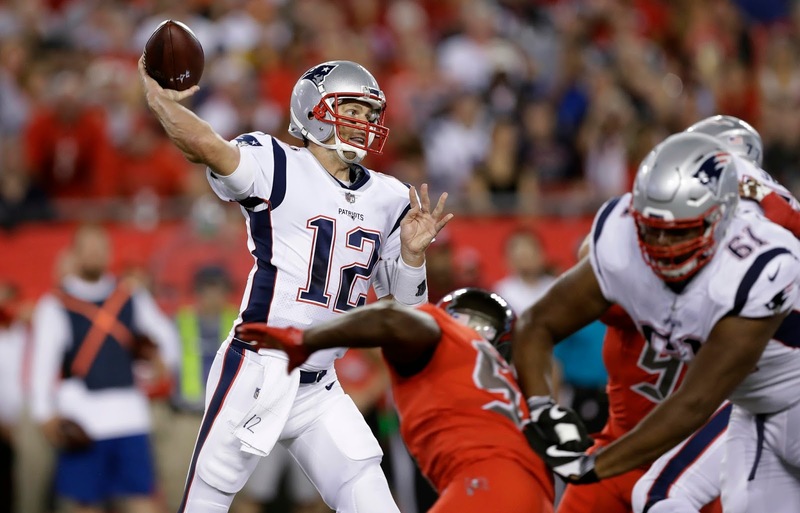 Tom Brady and the Patriots offense were battered on Thursday night in Tampa Bay, but New England's defense finally impressed en route to a 19-14 victory. Now, the team is in New York to take on a surprisingly scrappy Jets club on a three-game win streak. New England is heavily favored on the road, but divisional opponents are always a tough matchup--will the Pats' key fantasy players succeed or struggle? 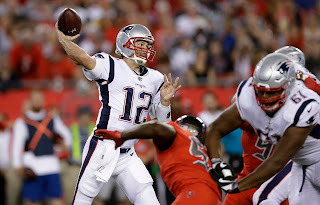 Much was made about the Patriots finally keeping an opponent under 30 points in Week 5, but the real story from Tampa Bay was Jameis Winston: the QB often missed open receivers and seemed skittish at points in the pocket. Did the New England defense play well? Sure. But with starting corner Stephon Gilmore also out for this game, expectations shouldn't be too high, even for the Jets. Josh McCown is not startable unless you're in an extremely deep league. But as a deep sleeper, you could do worse. As far as Tom Brady goes, you have to start him if you have him. Despite only throwing one TD and tossing his first interception of the year last week, he's one of the best QB options in the game. Don't get cute. Rex Burkhead is out again this week, meaning that the Mike Gillislee/James White combo (with Dion Lewis spelling both) will continue for at least another game. That should be good news for fantasy owners, considering both players are viable. Gillislee is still getting plenty of early-down work and important red-zone carries, while White caught a whopping 10 passes last week and turned in another stud PPR performance. As long as that relationship continues, you should feel comfortable putting either one in your flex spot (or starting White outright in PPR). While Gillislee may be touchdown-dependent, he's getting enough work so far the merit the risk--and while White doesn't always turn his catches into big gains, he's a critical enough part of the offense to take the chance on him turning one of those catches into a touchdown. 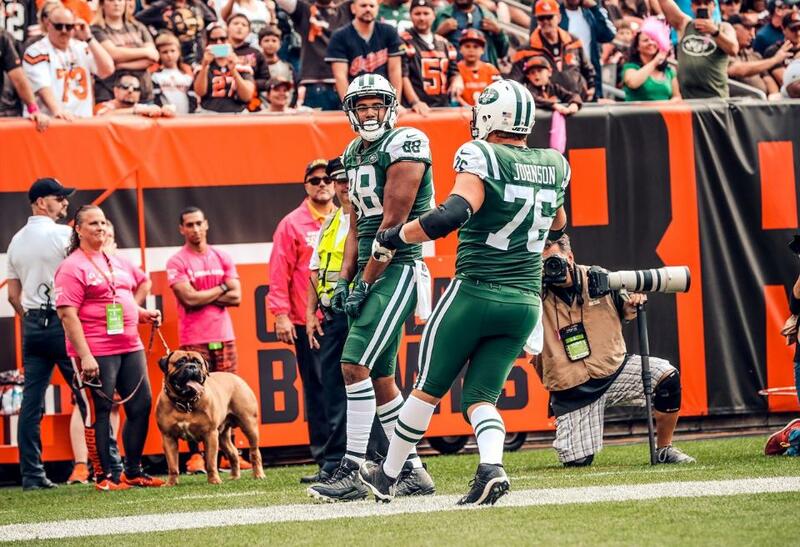 For New York, Bilal Powell recorded just two carries for five yards a week after taking 21 for 163 yards and a score. While he's the closest thing the Jets have to a lead back, he's a flex at best this week in all formats. 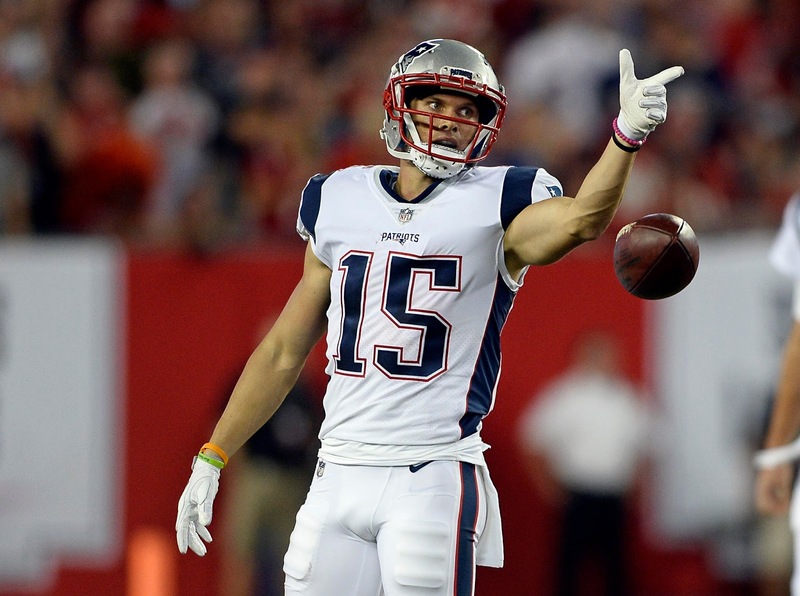 Chris Hogan is still on pace to score 16 touchdowns this year. Touchdowns are a notoriously fluky stat, but Hogan is bucking the trend in a major way so far. As one of Tom Brady's favorite targets, he's approaching must-start status in most leagues. Brandin Cooks caught another 5 passes for 85 yards, and Danny Amendola chipped in 77 yards on 8 receptions--while they're a bit more matchup-dependent, this Jets squad simply doesn't have enough quality defensive backs to cover everybody. 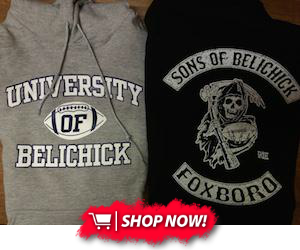 Cooks is a startable wideout, and Amendola is a solid flex play (higher in PPR leagues). 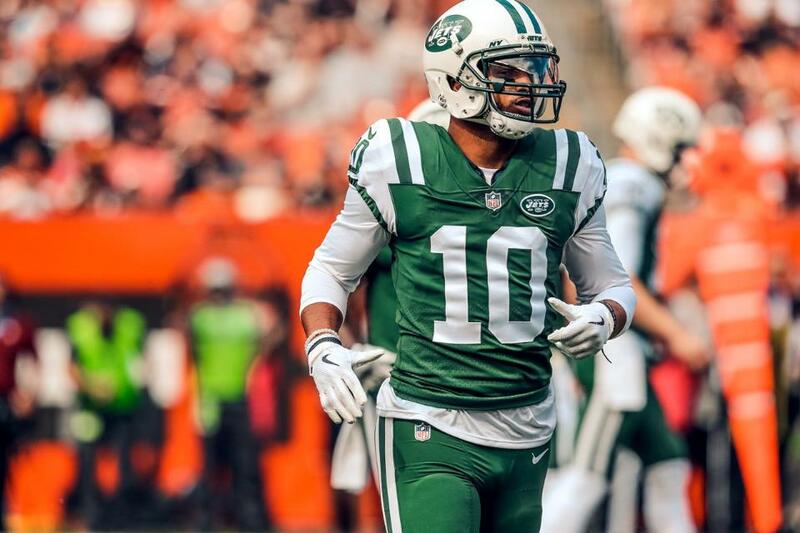 For New York, Jermaine Kearse and Robby Anderson are tied for the team lead with 220 receiving yards. Kearse is a fantasy commodity in deeper leagues, but I doubt he'll hold much value this week going up against Malcolm Butler and Devin McCourty. Unless your team has been ravaged by the recent injuries, leave him on the bench. Gronk will be back in the lineup this week, and he should dominate once again. As usual, he's a must-start. New York's Austin Serferian-Jenkins caught six passes last week in Cleveland--while they only went for 29 yards, he also found the end zone. 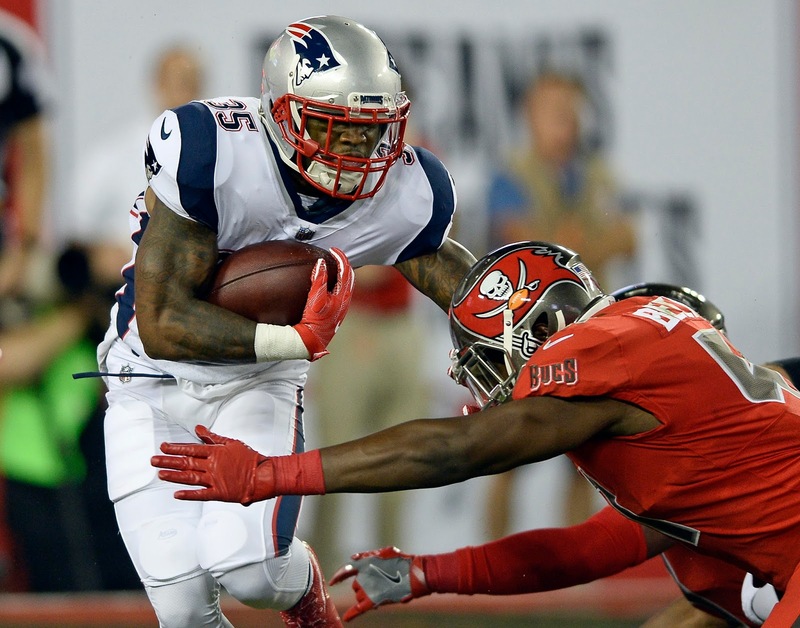 He's completely touchdown-dependent, but he is an interesting deep sleeper candidate a week after Cameron Brate gashed New England for 68 yards and a score on five receptions. The Pats are on the rebound after holding Tampa Bay to just 14 points, and the Jets offense (while not as bad as many outsiders predicted before the year) isn't exactly setting the world on fire. For the first time this year, the New England D/ST may be startable. And while the Jets defense is a lot better and has historically played the Pats tough, I wouldn't start any defense going up against Tom Brady right now. Without enough opportunities to create turnovers (since Brady simply doesn't throw interceptions anymore, apparently) there's only so much a fantasy defense can do to not hemorrhage points. As far as kickers go, Stephen Gostkowski remains a reliable fantasy option, and Jets kicker Chandler Catanzaro is fresh off nailing the longest field goal (57 yards) in Jets team history. He should do fine this week once again.